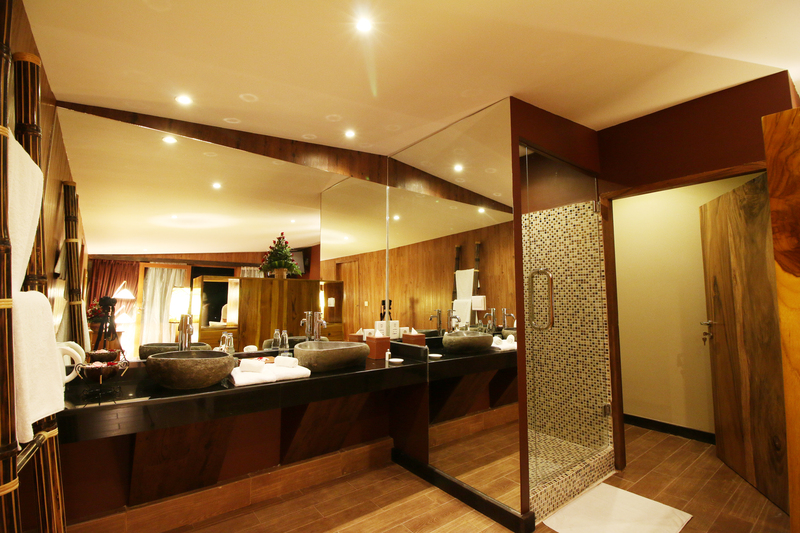 One suites is available offering spacious bathrooms and bedrooms. 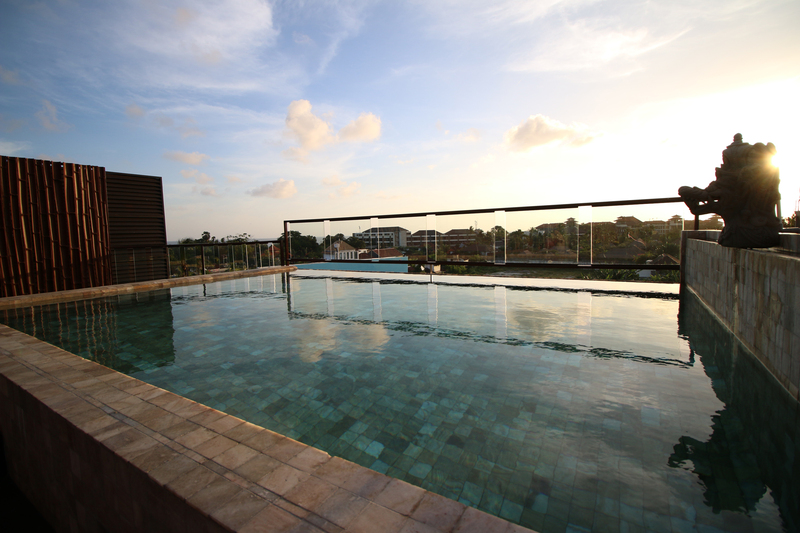 The infinity plunge pool belonging to the suites and overlooking Seminyak is also a must try. Combining modern design with traditional furnishings, our Sky Suites come with air-condition, free Wifi access, flat-screen satellite TV with DVD player and include a large sitting area and a private terrasse. 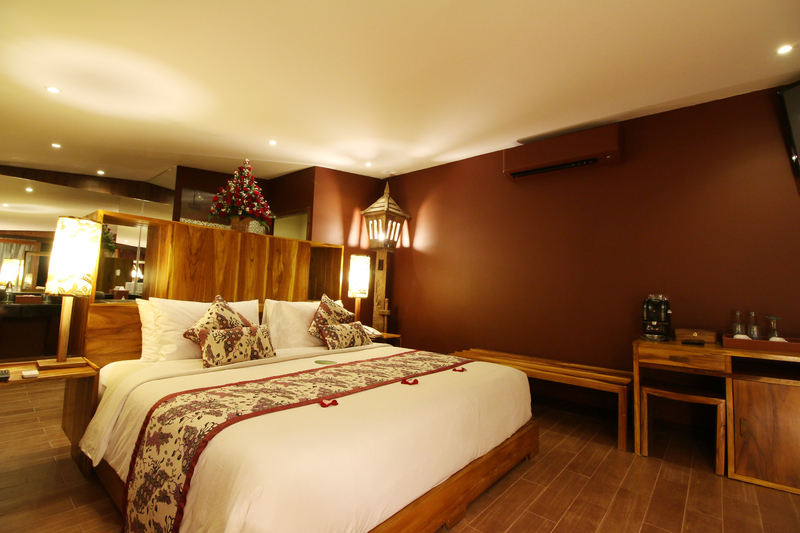 The room is decorated with local ethnic style and offers a personal retreat – spacious and luxurious atmosphere, comfortably appointed with its special amenities. 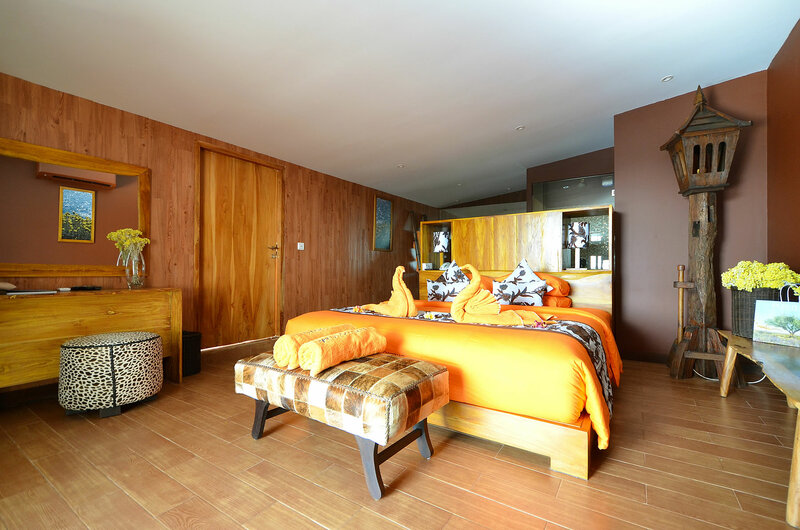 The private outside area offers a panoramic view on Seminyak and Petitenget.